I’m kind of a snob. 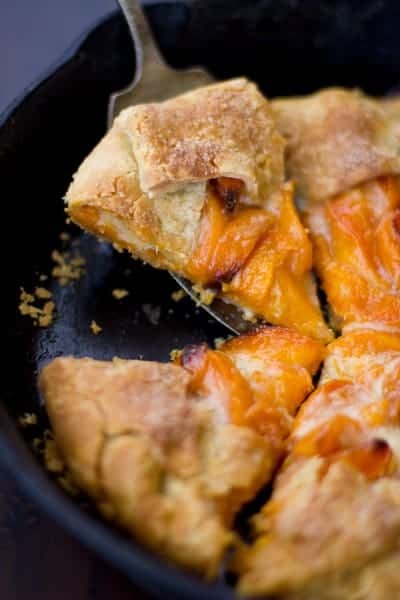 When I see recipes that call for peaches in February, or berries in December, I tend to turn up my nose. “That’s not in season,” I think haughtily to myself. (Often, I’m chagrined to notice that the recipe poster lives in Australia, but that’s another story.) So when I saw apricots at the co-op in late August, I gave a disdainful sniff, imagining the poor ignoramus who would buy the doubtlessly flavorless, out of season fruit. But then I asked a normally blasé produce stocker which fruit she recommended. “The apricots are really good,” she enthused. “We weren’t expecting them, but they’re amazing!” When I saw that they were grown in California, and that the variety was called Autumn Glo, I overcame my skepticism and filled up a bag. And was I glad I did. Despite their greenish exterior and lack of fragrance even when soft, the insides reveal intensely orange flesh with big apricot flavor. I feel lucky to have gotten a second chance with apricots this year. 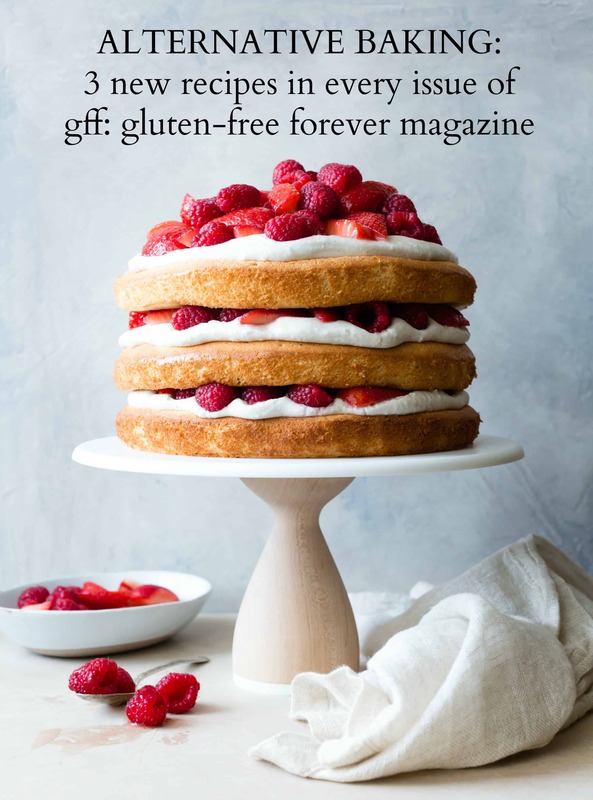 When I started to work on cracking the code for gluten-free pie dough, I whipped up this tart to try it out. 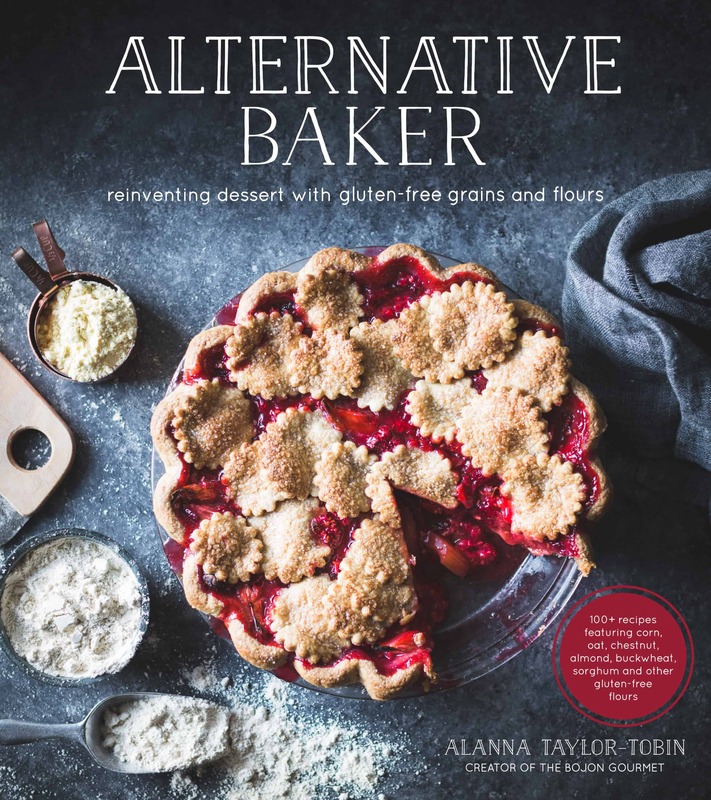 It ended up being one of my favorite pastries, ever, from the super-flaky dough that was undetectably gluten-free (more on that here), to the creamy mascarpone, to the succulent stone fruit. 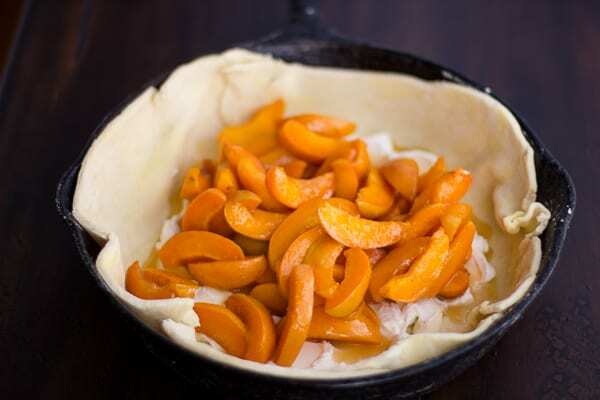 Mascarpone goes in the bottom of the round of dough, and the apricot slices get tossed with a bit of sugar, lemon, and tapioca flour to help their juices thicken. 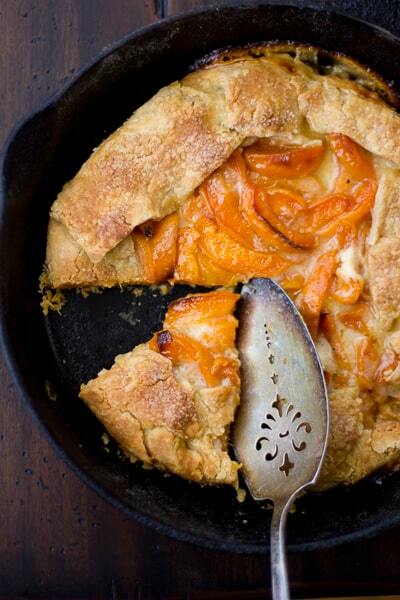 Sometimes the yummiest recipes are the most simple, and this galette is proof. I don’t know why I never thought to bake a galette in a skillet before, but it works brilliantly. 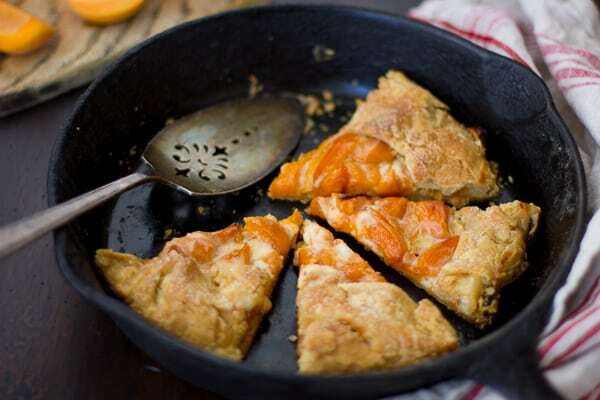 The skillet contains the juices that escape during baking, and they caramelize onto the crust. Cast iron conducts heat well, yielding a firm, golden bottom crust that you can eat like a pizza. 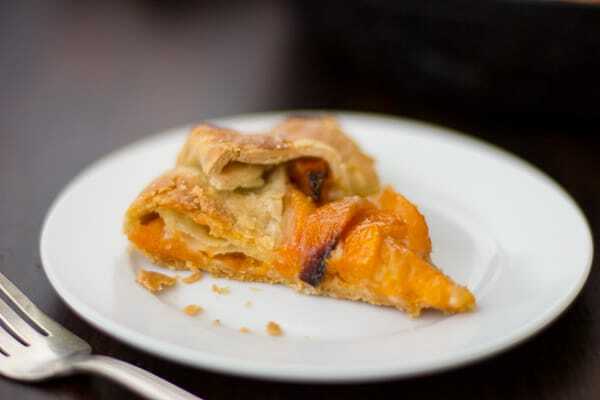 The apricot slices blacken a bit around the edges and their juices bubble vigorously, melding with the mascarpone into creamy bliss. Apricots are sublime here, and the creamy cheese smooths any rough edges of sweet/tart baked fruit, making ice cream redundant. The tart was the last thing I thought about the night I baked it, and the first thing on my mind the next morning. I had a slice for breakfast, then promptly went to Rainbow Grocery to buy more apricots. 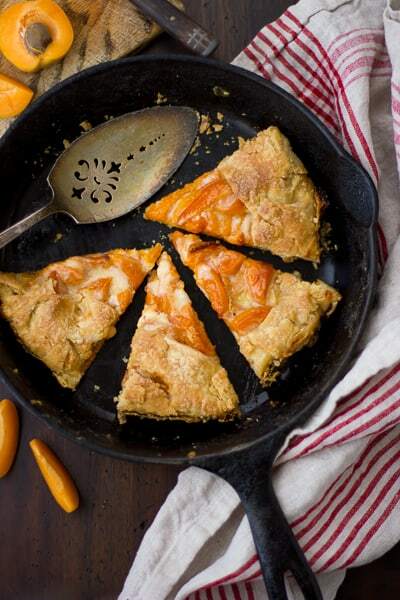 If you don’t have any freakish Fall apricots in your neck of the woods, don’t despair; make this tart with peaches, nectarines, berries, figs, or sugar plums instead. It will excite even the most blasé of tart eaters, and chagrin the snobbiest snobs. 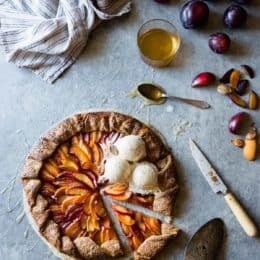 As I mention above, I think this tart would be equally good made with peaches, nectarines, berries, figs, or sugar plums (regular plums may have too high of a water content and could make for a soggy tart). I like this tart best within an hour of exiting the oven, when the crust is shatteringly crisp and the fruit juicy. It needs no accompaniment. 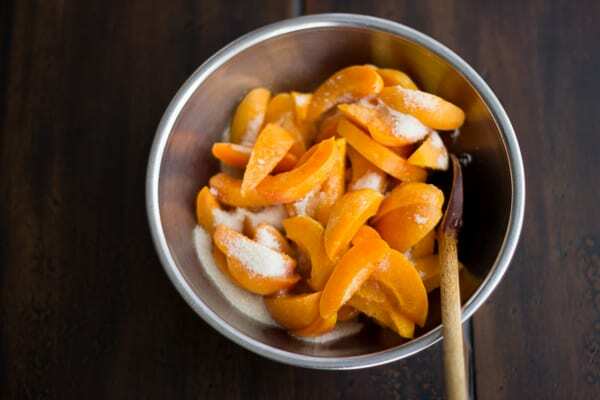 In a medium bowl, toss together the sliced apricots, sugar, tapioca starch, and lemon juice. Set aside. Let the dough soften at room temperature for 5-10 minutes; this will make it easier to roll out with fewer cracks. 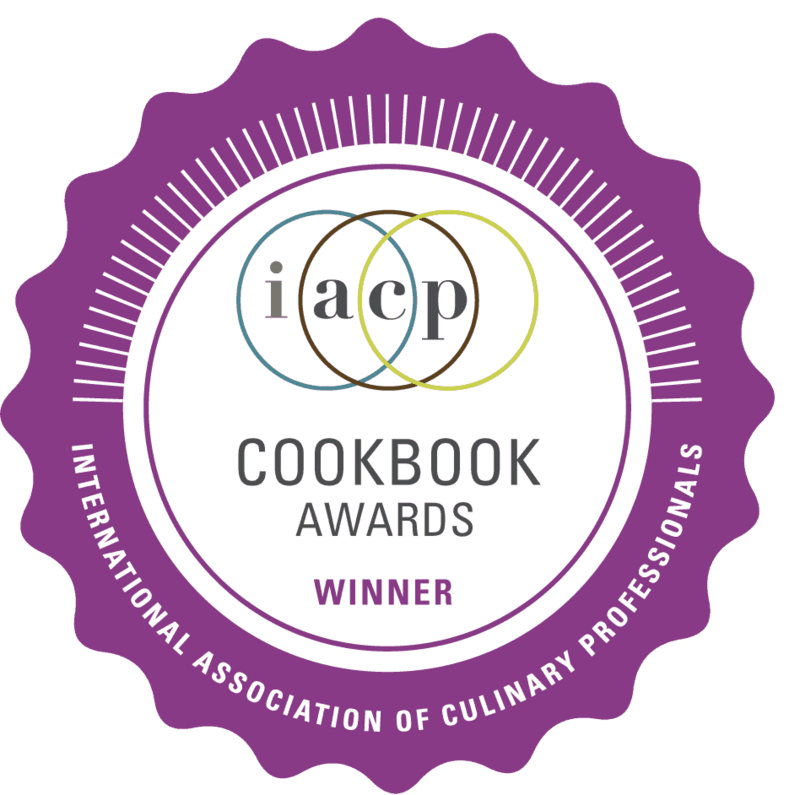 On a surface dusted lightly with millet flour, roll the dough out into a 12″ round, dusting the dough and rolling pin with flour, flipping and rotating the dough gently as you go. Use a pizza wheel or chef’s knife to trim the edges. Gently lift the dough into a 10″ oven-proof skillet (well-seasoned, if cast-iron) or onto a baking sheet lined with parchment paper. If the dough cracks, smush it back together, or patch it with the dough scraps. 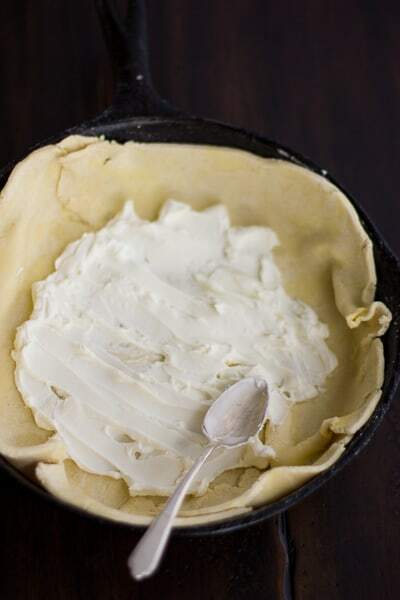 Gently spread the mascarpone on the bottom of the dough. Scrape the apricots and their juices on top of the mascarpone. 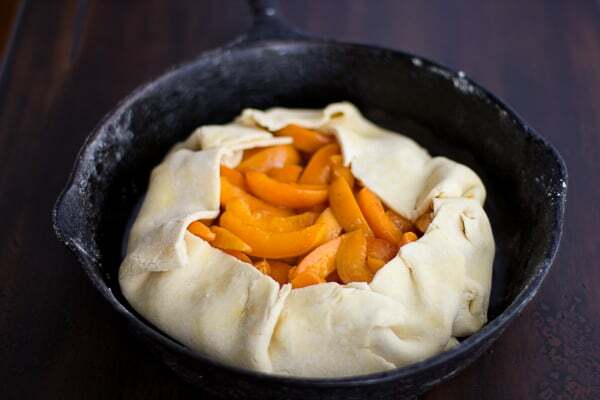 Gently fold the edges of the dough over the fruit, pleating it as you fold, and leaving the center exposed. Brush the crust lightly with the milk, and sprinkle lightly with sugar. Bake the galette until the crust is golden on top, and the fruit and mascarpone are bubbling vigorously, about 45 minutes. Remove from the oven and let cool at least 10 minutes. Cut the galette into wedges (you can either cut it in the pan, or lift it out with a large metal spatula or two and onto a cutting board). 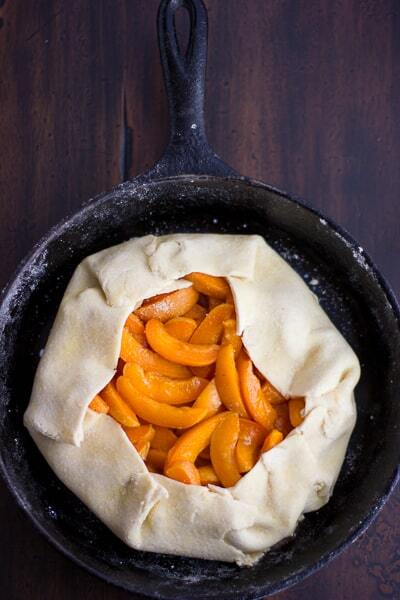 Serve the galette warm or at room temperature. I like it best when freshly baked, but leftovers will keep in the refrigerator for up to three days. Re-warm chilled slices in an oven or toaster oven before serving. I'm with you…I love to eat fruit seasonally. But how lucky that you got such a delicious batch of apricots. This tart looks so good. Thank you for sharing, sweet friend! Ghoshh, the galette looks so good. 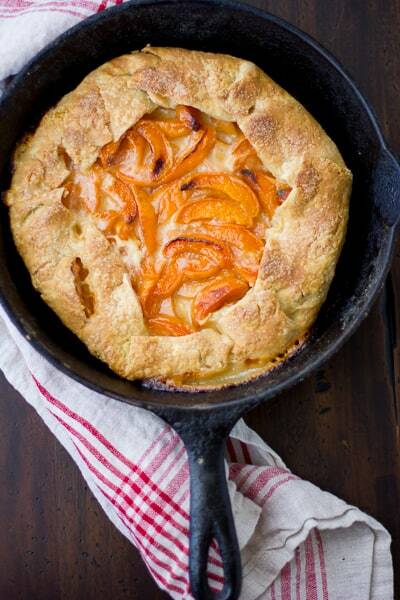 Never baked in a skillet, a must try..thanks for sharing. Thanks, Asha! I can't seem to get enough of my cast iron skillet these days. This looks so freaking good!! My favorite thing about pies, galette's, etc, is the crust, but I'm gluten free at the moment, so thank you for coming to the rescue. Also, never baked anything in a skillet, but I have one, so I might just have to give it a try. So good on so many levels!! Aw! Thank you, Todd! Sounds like we need to have a cocktail and GF dessert party here in the bay. :) I've been completely drooling over Karen's ginger plum crostata – that will certainly be the next iteration of this crust. You won me over at mascarpone – I'm in. Also, i have two pounds of figs that would do wonders in this galette! Yes! I think figs would be wondrous here! 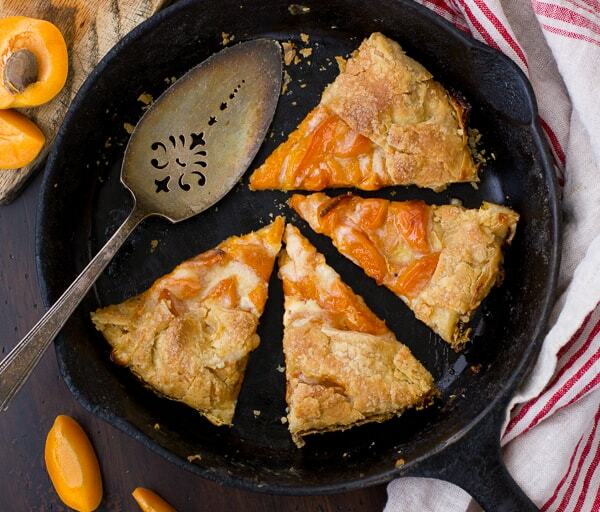 These photos are stunning, the color of those 'off season' apricots is pretty glorious, and apricots just come alive when you bake them, in season or not! 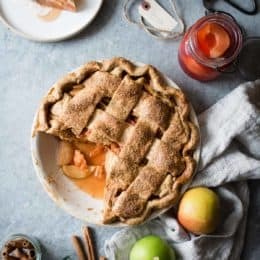 Also, if i'm making an apple pie using this recipe does it need to be par-baked? Should I pre-cook the filling? 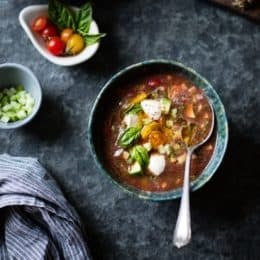 Could I sub the millet flour in this recipe for oat flour? Would the crust become more crumbly if i did that? I think it might be more crumbly, though you can certainly give it a try. I might trade the millet for half oat and half sweet rice to be on the safe side. Let me know what you try and how it goes!